Chelsea Sits Down to Write a Novel. Five Years Later . . . 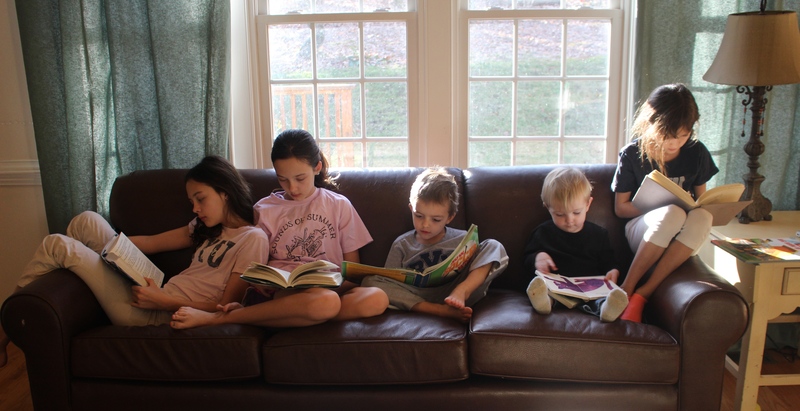 It took me 2 years to write, 2 years to rewrite and 1 year in the middle to have a baby. Last week, on my 37th birthday, I signed my first writing contract. 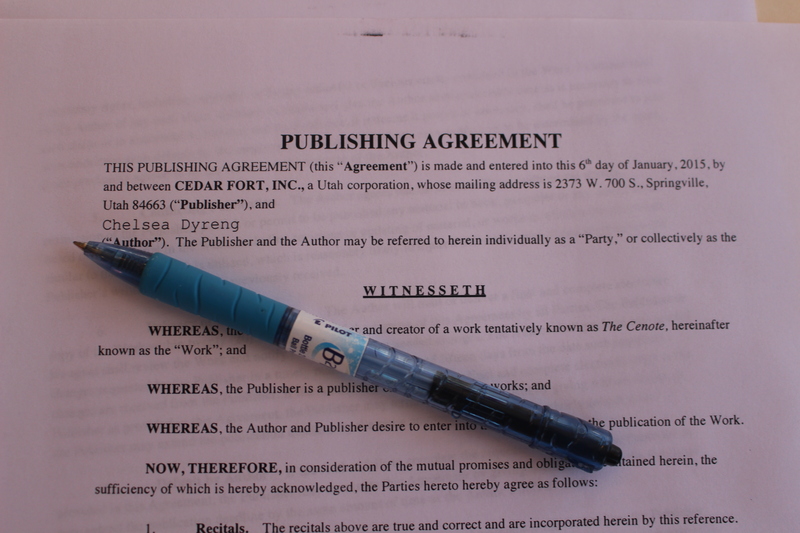 My book, The Cenote, will be published by Cedar Fort, a publisher based out of Utah. For me this is pretty much mind-blowing. What is the book about? It is about an ancient village in Mexico and a large pool of water called a cenote (say-NOH-tay). And that is all I’m going to tell you, for now. Suffice it to say that it is kind of a romance, kind of a mystery, kind of a coming-of-age story, and fortunately is not autobiographical. The current schedule puts the release date as November 10, 2015. I’ll give you more info as the time approaches. So excited. Still pinching myself. Toymakers are the world’s greatest fibbers. All you have to do is go into the toy aisle, find a box that says “Hours of Endless Fun!” take it home, give it to your child and then start the timer. It won’t be long before the toy breaks, runs out of battery power, or the child gets bored with it. In my eleven-year history of toy buying I have spent a lot of money on these kinds of toys. 1. It needs to be creative. 2. It needs to last. In other words, my kids need to be able to throw it, drop it, flush it, smash it, draw on it or leave it outside and still be able to play with it. 3. It needs to help them be self-sufficient, in other words, no mom required. Toys are for kids, not for moms. Moms do enough wonderful things with their kids all the time, so kids need toys that don’t need moms. 4. It needs to be able to grow with the child. You know a toy is a keeper when the child doesn’t toss it aside when they’ve grown older, but instead finds more sophisticated ways to play with it. 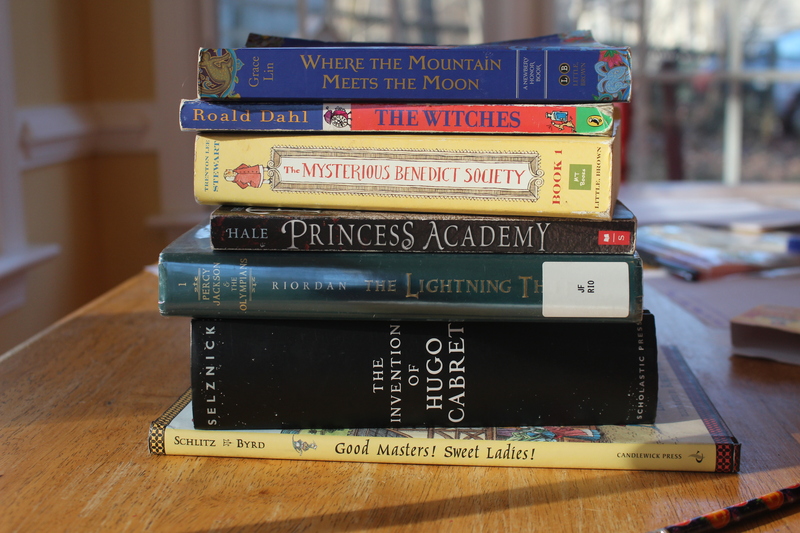 I’m afraid to say my children alone have probably contributed to the destruction of several forests. (But we recycle!) 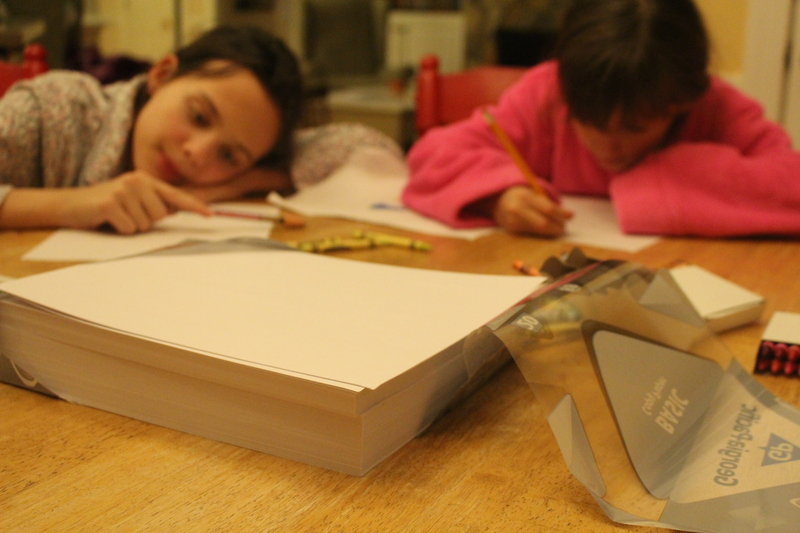 We go through reams of paper, using it from everything from drawing to writing to crafts to paper airplanes to origami. Seven years ago someone told me that newspaper printers sometimes give away “end rolls.” I went to a newspaper printer who gave me THREE of these wonderful rolls, for FREE! This alone has been one of the best “toys” in our house. 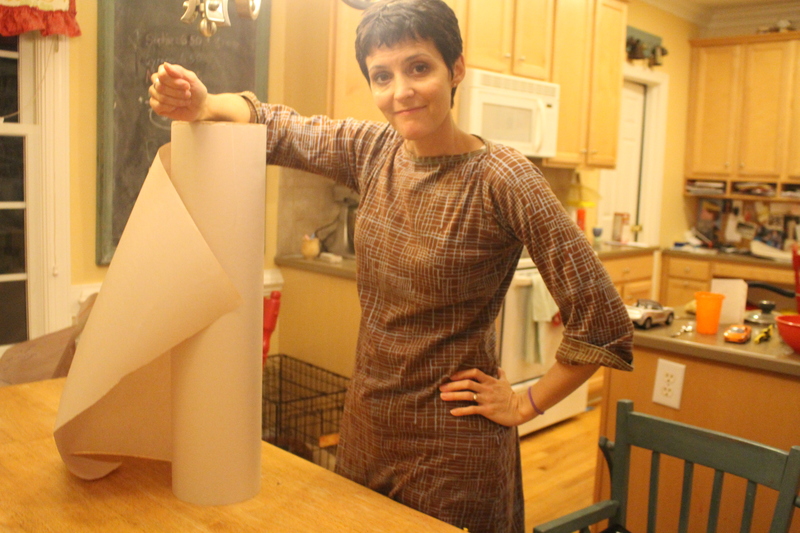 We use it for wrapping paper, car cities, big paper projects, banners, etc. We are now down to one roll, but I believe there is still enough to get Levi through childhood. Duct tape: Good for making wallets, hair bows, fixing broken toys (the ones that require Hours of Endless Repairs), doll casts and neighborhood boat races. 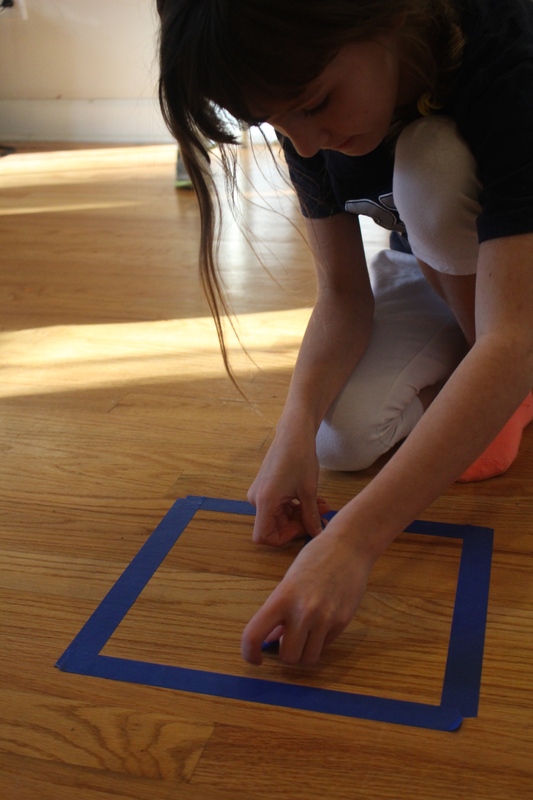 Painters tape: Good for hanging up pictures, creating barriers, bounderies, and indoor hopscotch games. 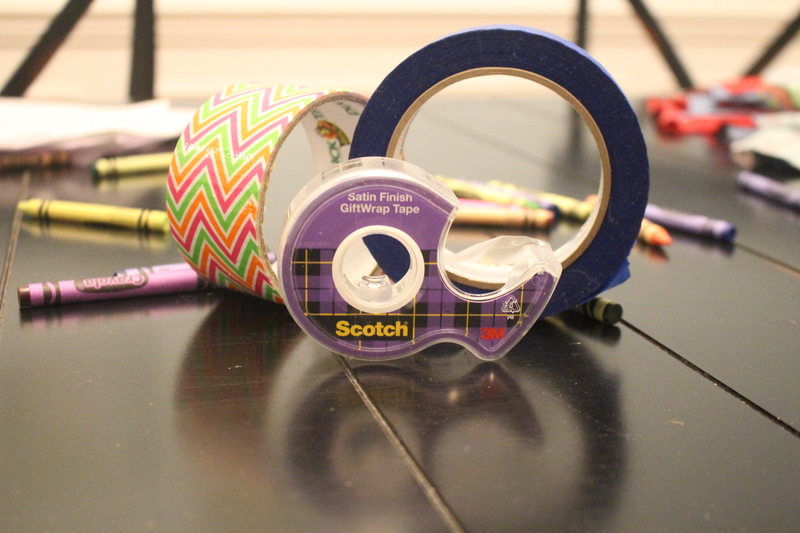 Scotch tape: Good for everything else. Oh, how I love cars! I cannot say enough good things about cars. 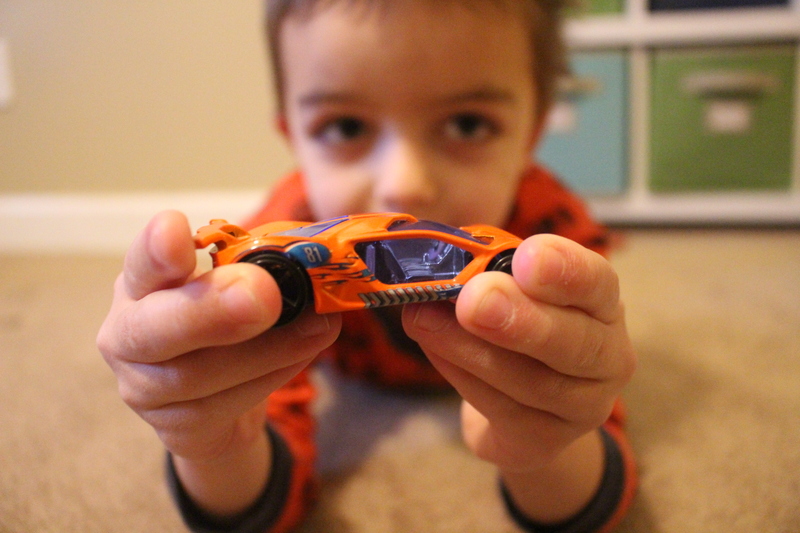 A car fits perfectly in the palm of the hand. Comes in any color, any style. Can be quiet or loud, depending on the driver’s mood. Can play with friends or alone. Can play outside or inside in water, mud or sand. Can fit in a purse, leaves no mess, and is virtually indestructable. I’m not reallly sure what boys played with before cars. 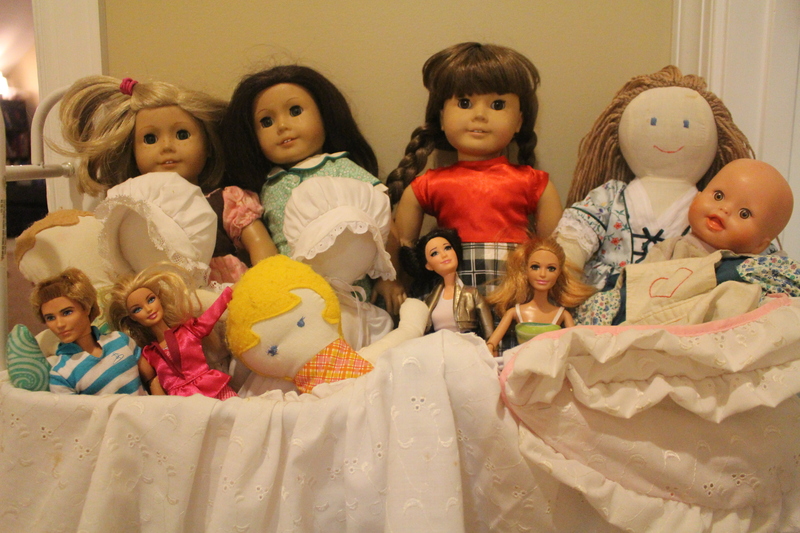 Dolls will never go out of style. Girls love them at any age. 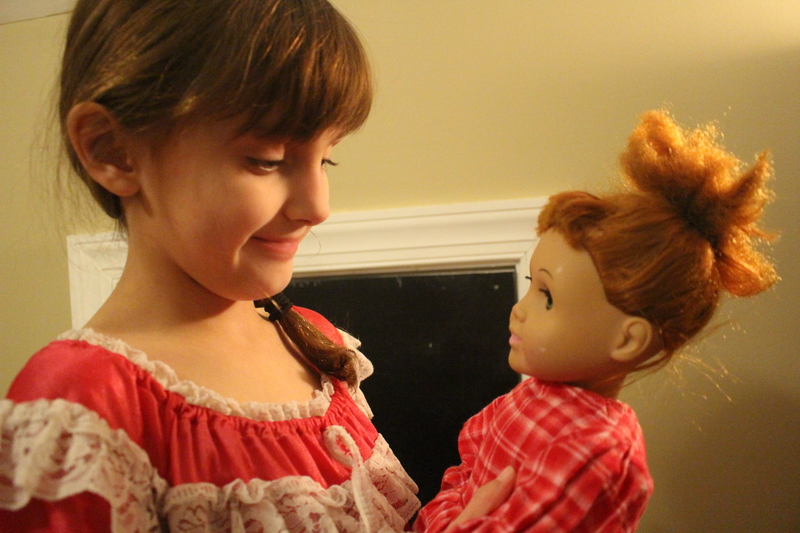 And dolls don’t have to cost $100.00 to be an excellent confidant and friend. Naomi still won’t part with Olivia. 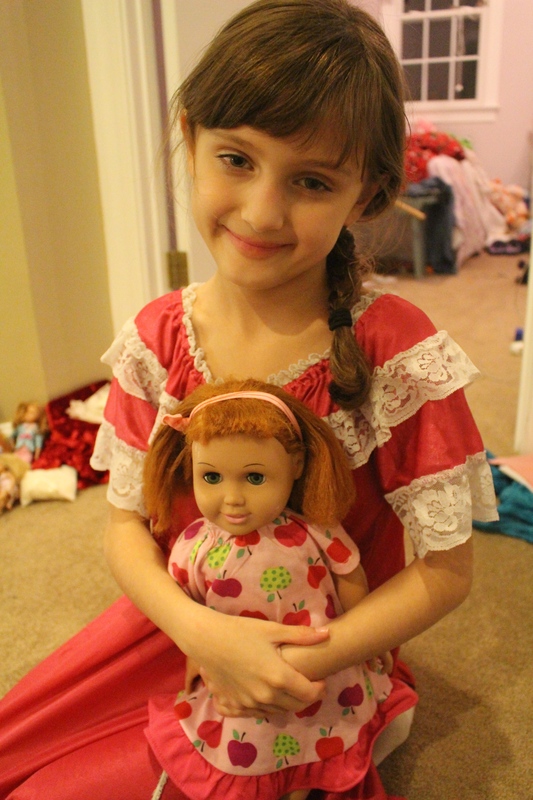 Olivia is a $19.00 American Girl copy-cat with ratty hair and a lazy eye, and Naomi will not give her away. Now, balls are a little bit of a mystery to me, since I have never really understood their appeal. Watching a boy with a ball is like watching a cat with a semi-dead mouse. They go a little berserk. This toy does break my “no mom required” requirement but ultimately he won’t need me anymore, in fact, he will be glad when he finally gets a real pitcher. This is what my kids revert to at the end of the day. It is their happy place, and mine. 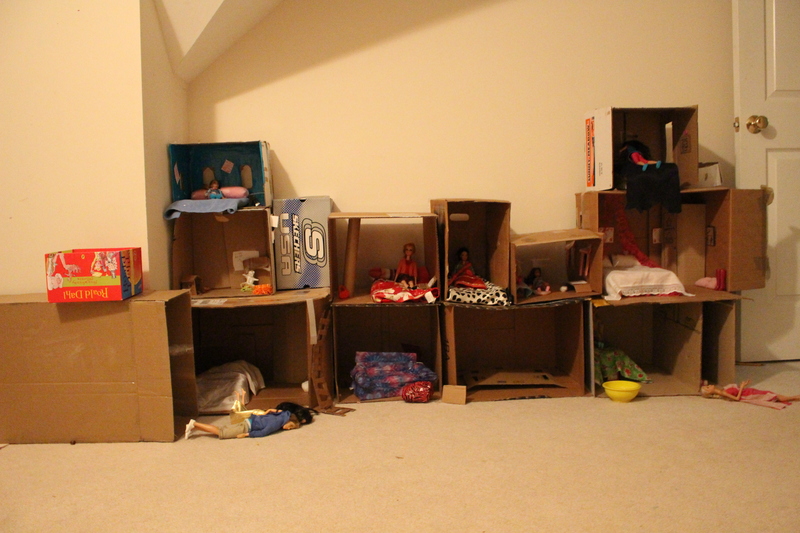 Hours, ladies and gentlemen of the toy-making industry, hours and hours of endless fun . . .
. . . and quiet. There are other “toys” that didn’t make this list like sand, water, sidewalk chalk, sticks and string, but you get the point. There are a lot of great toys out there. A couple of them come from the toy store. It has been a long time coming, and now that it is finally happening I wonder if most of the fun is in ancipating events like these and not so much in the culmination. Well, we shall see. But it has been a very exciting journey, one that has made a huge impression on my life and the lives of those in my home. I can’t wait to share it with you. For only for a few more days, I hope! It is a good thing I have plenty to do in the meantime . . .